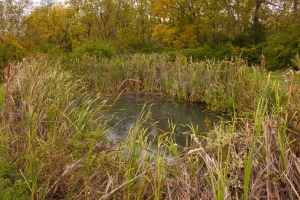 The Department of Biology's Ecological Research Facility (ERF) is located on a 50-acre, old-field tract in Lexington, Kentucky. Surrounded by residential neighborhoods, agricultural land and horse farms, the facility is a major resource for field studies within a fifteen-minute commute of the main campus. The facility provides a unique opportunity for research to be conducted in a simulated natural environment. 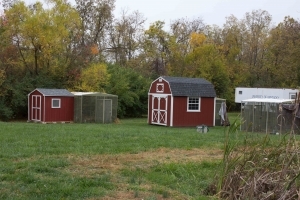 An artificial stream system, aviaries, and several research plots are spread throughout the landscape. A greenhouse will be under construction in the near future. During 2010-2012, funding from Lexmark Inc. and the University of Kentucky allowed the purchase and complete renovation of the adjacent former Lexington library building, now the UK/Lexmark Center for Innovation in Math and Science Education (L-UK). The interactive combination of research site and outstanding meeting and teaching space has spawned a new biological field station as the Ecological Research and Education Center (EREC). The linkage of the two physical facilities has encouraged new inter-institutional research collaborations on site and nearby in the Bluegrass Ecoregion, along with rapid expansion of field-oriented teaching and outreach (BIOTIC). Mathews Garden is a unique campus asset, established by former University of Kentucky botany Professor Clarence Mathews over 100 years ago, and currently managed and maintained by the UK Department of Biology. Located behind the historic Mathews and Ligon houses on the corner of Washington Ave. and Limestone Ave., it holds approximately 350 species of plants, many of which are rare and difficult to find in the wild. This gives Mathews Garden potentially some of the highest biodiversity per unit area in all of the Bluegrass Region of KY. 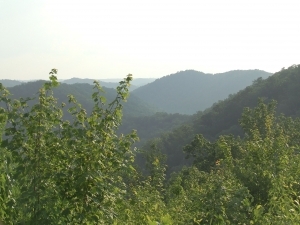 In addition to the plant species located here, countless numbers of birds utilize this area during their spring and fall migrations and small mammals, particularly flying squirrels and bats, are provided habitat with constructed nest and roosting boxes making it potentially their only campus refuge. A short meandering path wanders through the garden where name plates help identify the various woody and herbaceous vegetation species, useful for UK botany, dendrology, and ecology students to learn plant identification and to conduct short research projects. Due to the varied emergence patterns of the multiple wildflower species, Mathews Garden is a dynamic and beautiful location to study and/or simply visit any time of the year. Open to the public, benches and picnic tables provide the campus community the opportunity to enjoy Mathews Garden, with it commonly being utilized by students and staff as a break from hectic university life, as well as an outdoor educational classroom. Located in the Cumberland Plateau, covering over 14,000 acres, Robinson Forest provides an oasis for a variety of organisms and research! 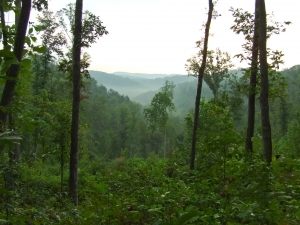 Gifted to the University of Kentucky School of Agriculture in 1923, the forest has been a longstanding timber research site, but also acts as a study site for research on-going in various departments including biology, forestry, and plant and soil sciences. The diversity of the forest is considered unparalleled by any in North America, especially in tree and amphibian species. It is a beautiful landscape that is best experienced first hand.